In late October, at the height of this year’s incredible fall foliage, I had the opportunity to capture some beautiful family photos at Borderland State Park in Easton, MA. I have known Kiran and Sachin for many years. They were my training clients at the YMCA before they became my photo clients and friends. It is such a treasure to have clients who become friends. 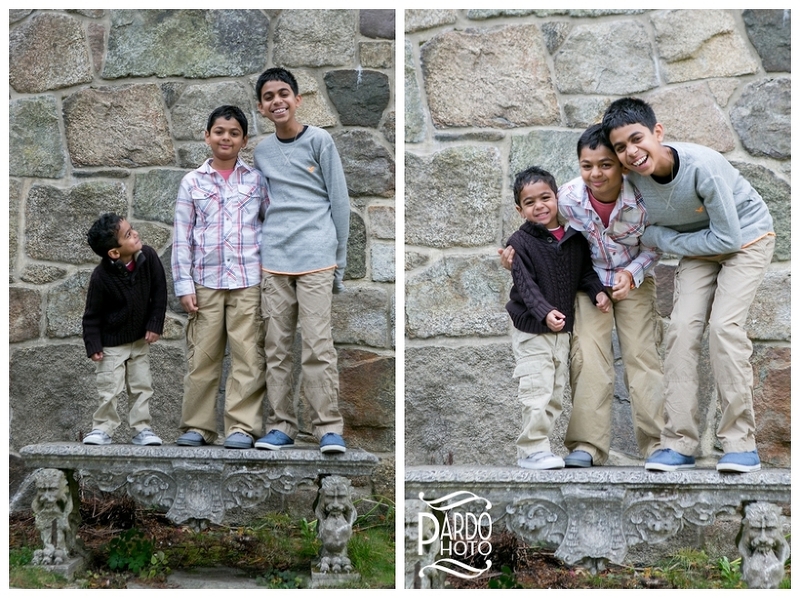 I first photographed their family in 2010 while Kiran’s parents were visiting from India. I then photographed them again when Kiran was expecting with Shwaas, their youngest. Finally, I couldn’t help myself, and I stopped by their house shortly after Shwaas was born to meet the little guy as a newborn. The one thing I am always struck by when I spend time with this family is how kind they are to one another. They not only share the bond of being a family but they also really like each other! I love the relationship the three boys share and how clearly it communicates through the photos. 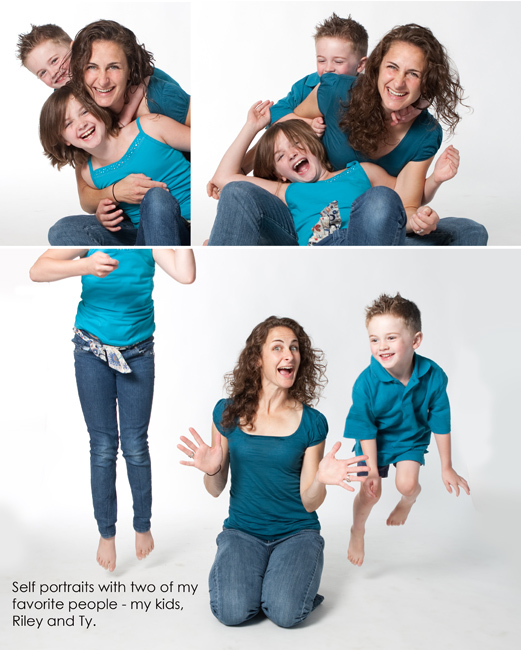 I always have kids chase me during a session, and usually, it is a full-out race—every man for himself. Not with these guys. The older brothers, without any prompting, held onto the little guy’s hands and made sure he kept up with them. Not only do Yash and Yuv love little Shwaas but it is so obvious that they are everything to him. He is always looking up to them and trying to do what his older brothers are doing. Lastly, I thought it was amazing how comfortable 3-year-old Shwaas was during the whole session. Kiran let me know beforehand that he suffered major stranger anxiety up until about 3 months ago, and she felt badly because there were so few photos of him. Well, we changed that—and for the better! 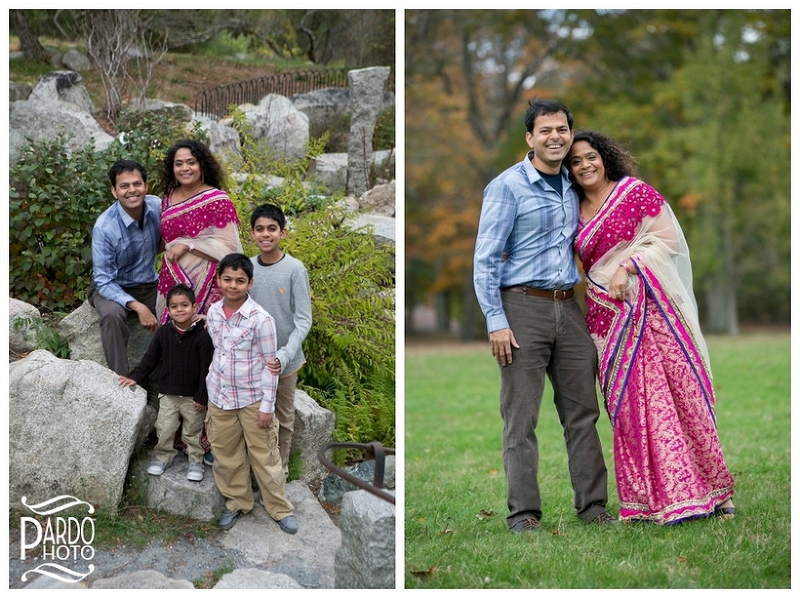 In addition to the images of the boys together, I love the photos of Kiran in her Sari in the park. She looked unbelievably GORGEOUS, and she was still just so relaxed and herself. The boys were running around her, hugging her, and there was never a mention of “don’t mess up my dress.” Seriously, it was the most amazing experience to have someone so decked out and so willing to fully participate in the photos. I just absolutely LOVE it when my job leads me to INCREDIBLE people and allows me to record and participate in their lives even if only for a few hours every year. 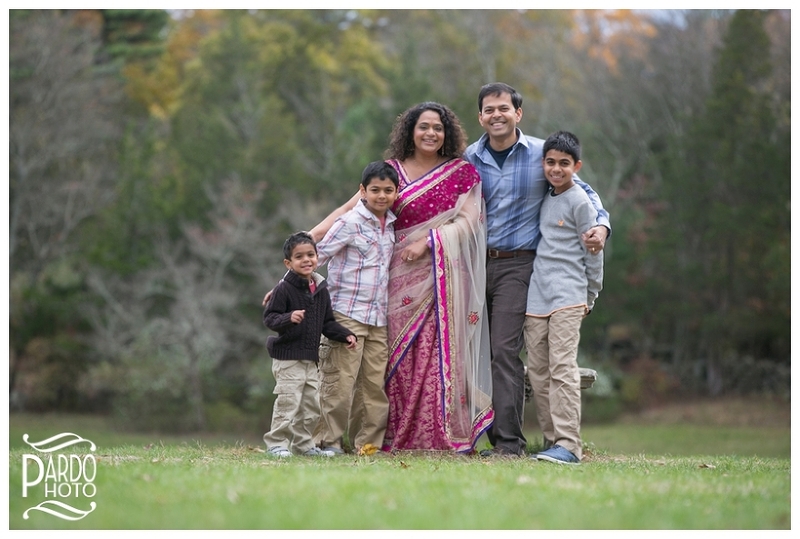 Thank you, Kiran and Sachin, for trusting me with capturing your amazing family! I can’t wait to see you again soon.